The violinist Maxim Vengerov, hailed as one of the greatest living musicians in the world, winner the Cremona Musica Award 2018, will be the protagonist of this special event, during which he will give a short master class with two young and uprising Italian violinists: Clarissa Bevilacqua and Sara Zeneli. 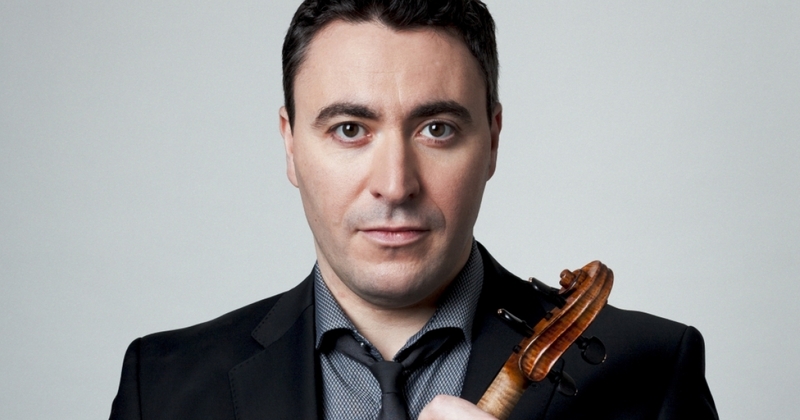 Universally hailed as one of the world’s finest musicians, and often referred to as the greatest living string player in the world today, Grammy award winner Maxim Vengerov also enjoys international acclaim as a conductor and is one of the most in-demand soloists. Born in 1974, he began his career as a solo violinist at the age of 5, won the Wieniawski and Carl Flesch international competitions at ages 10 and 15 respectively, studied with Galina Tourchaninova and Zakhar Bron, made his first recording at the age of 10, and went on to record extensively for high-profile labels including Melodia, Teldec and EMI, earning among others, Grammy and Gramophone artist of the year awards. Tireless in his search for new means of creative expression, Maxim Vengerov has let himself be inspired by many different styles of music, including baroque, jazz and rock and in 2007 followed in the footsteps of his mentors, the late Mstislav Rostropovich and Daniel Barenboim and turned his attention to conducting. Mr Vengerov has since conducted major orchestras around the world including the Montreal and Toronto Symphony Orchestras, and in 2010 was appointed the first chief conductor of the Gstaad Festival Orchestra.